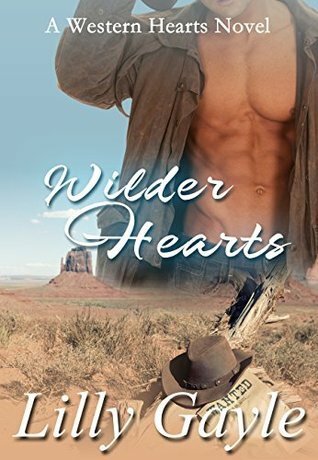 Wilder Hearts is a historical western and romance novel. What draws you to the old west and makes it ripe for you to write such a great romance story in it? I’ve been reading romance novels since high school. My mom and grandmothers taught me to love history, and my dad taught me to love westerns, science fiction, and the paranormal. Growing up, I used to watch western TV shows and movies with my dad all the time. We still watch western movies together. I think I’ve seen every western ever made starring John Wayne and Clint Eastwood, but my all time favorite “old” west movie is Support Your Local Sheriff– a western romantic comedy staring James Garner. I thought the historical accuracy was spot on. What research did you do for this story? A lot of research went into this novel. I have dozens of hard cover books on British and American history. When I began researching historical crimes a few years back, my husband gave me The Chronicle of Crime by Martin Fido, a book that chronicles the most infamous crimes in modern history. I also get a lot of my book ideas from watching Mysteries at the Museum. While doing internet research on American crimes similar to Jack the Rippers, I ran across a single article on the Servant Girl Annihilator. From there, I began searching the web for more info, and low and behold, just after I finished the first draft of Wilder Hearts, Mysteries at the Museum featured a segment on the Servant Girl Annihilator. The show even made the connection between Maurice, the Malay cook and Jack the Ripper. I was thrilled. It’s time to make Wilder Hearts into a movie! What actress and actor do you picture playing the leading roles? I think Melissa Rauch who plays Bernadette on The Big Bang Theory would make the perfect Ellie. She’s older than Ellie and her hair is blond, but in Hollywood, anything is possible. And I think Chris Pratt would make a great Jake. I enjoyed the romance that was weaved into the mystery story. Where do you see Jake and Ellie, oh let’s say, a year after the novel ends? As secondary characters in the sequel. I still haven’t settled on a title for the book. Obviously, it will be something with “Hearts” in the title, but in the rough draft already in the works, Ellie suggests that Brett Henderson (the rancher who helped Jake rescue Ellie) consider answering an ad for a Mail Order Bride she read in the San Francisco paper, Matrimonial News (a real paper in the late 1800’s.) Jake, of course, will be against the idea, but Brett is desperate to find a wife for his son in the dying town of Harmony. Writing about the outlaw, Jake the Snake, could be the opportunity of a lifetime—if it doesn’t get her killed. When Ellie Wilder takes her sister from their grandfather’s home, she’s determined to put her family back together and write of their adventures. Then she runs into Jacob Harper, a man who resembles Jake the Snake, a notorious outlaw who once rode with Billy the Kid. Is it possible the outlaw who escaped justice has mended his ways? Or is the handsome Mr. Harper now murdering servant girls in Austin? Finding out the truth could be the journalistic opportunity of a lifetime. Former Texas Ranger Jake Harper has returned to Texas to help solve the Servant Girl Annihilator murders. But when a similar murder occurs in Harmony, Texas, Jake goes undercover as Jake the Snake to find a connection between the series of brutal murders. Then Ellie Wilder shows up. Her snooping could blow his cover and get her killed, but Ellie soon becomes a bigger threat to his heart than his investigation. 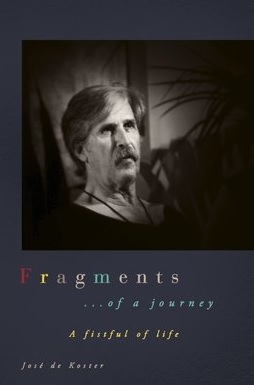 Posted on June 1, 2016, in Interviews, Uncategorized and tagged A Western Hearts Novel, adventure, amazon books, author, author interview, big bang theory, book, book review, books, cowboy, ebook, ebooks, fantasy, fantasy book review, fiction, girl, lilly gayle, literature, love, mysteries at the museum, publishing, reading, review, reviews, romance, san francisco, stories, thriller, west, western, wilder hearts, writing. Bookmark the permalink. Leave a comment.